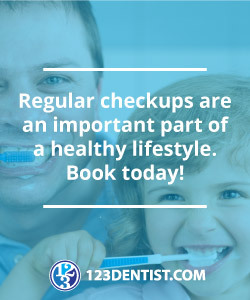 Your oral health is important and at Maple Place Dental in Maple Ridge, our team of oral health care experts want to share with you the most important oral health secrets that will give you a healthy smile you’ll be proud to show off everywhere. An oral health care checkup at Maple Place Dental every 6 months applies only to healthy gums. If you don’t have healthy gums, you’ll want to schedule a checkup at least every 3 months. Pay attention to your back teeth when brushing/flossing. We’ve found that patients at Maple Place Dental in Maple Ridge focus too much on their visible front teeth. Subscribe to Maple Place Dental’s blog for more dental secrets and contact us today to take care of your oral health care. We’re social, too! Follow us on Facebook, Twitter and YouTube.